Start Here >> Please select your car Make, Model and Year. Looking for Viscera VSC 842 Caps? Looking for Viscera Caps & Inserts? Please let us know about your car first so we can fit the correct tires to your vehicle. 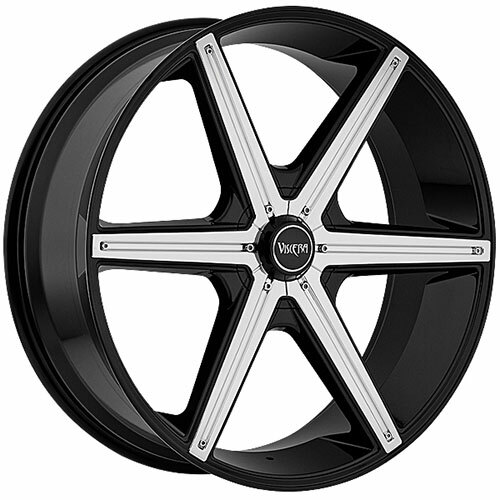 Viscera VSC 842 Rims with Gloss Black Finish are a beautiful 6 spoke rims with a strong structural design. The Viscera VSC 842 line comes with 20 X 9, 22 X 9.5, 24 X 9.5, 26 X 9.5 sizes and may come with other available finishes, Viscera models or styles. Free car fitment guarantee with every Viscera Rims order before it ships out.